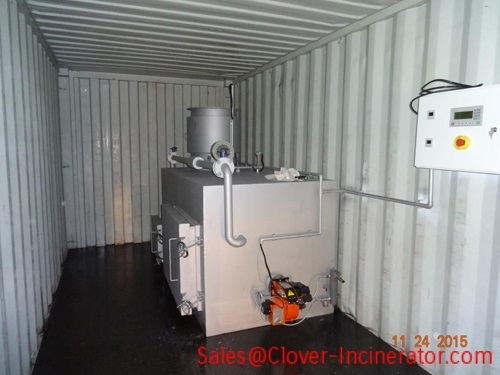 Containerized Mobile Incinerator with buring rate from 10kgs per hour and 20/30/50kgs per hour capacity. 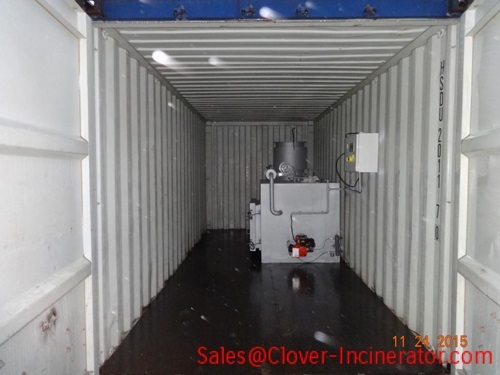 We fixed incinerator system inside the container already, local customer fix the electric system and smoke chimney. This product is moveable by truck to other location. All system completed with diesel oil fired. Completed with Double combustion chamber. Fixed with Smoke smoke filter chamber already. Control case fixed beside for operation easy and safe. Steel floor for safe, clean operation space. No incineration house build request.